The material is acrylic or wood. Choose the quantity, colour and font. Click the green "add to cart " button. Please, leave a "Note to seller" spelling the names. 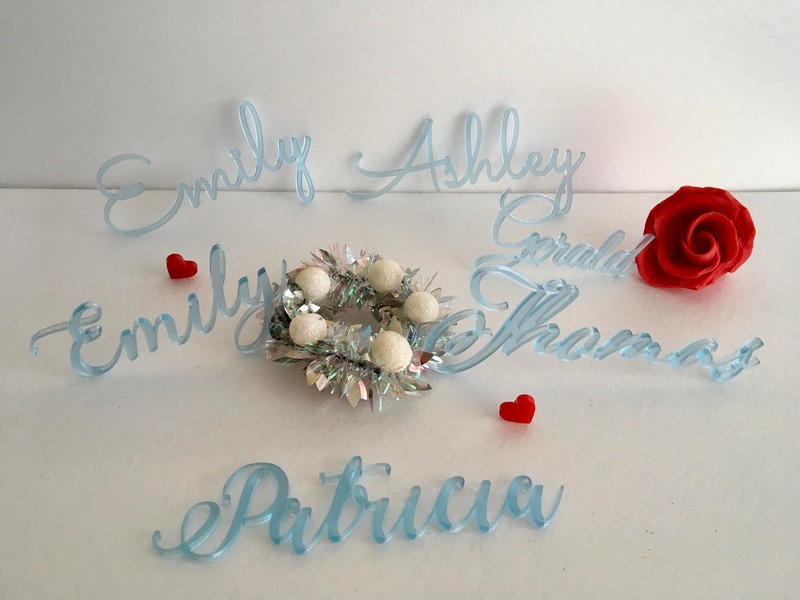 The place names would be a lovely addition to you wedding table decoration and great for helping people find their seat. 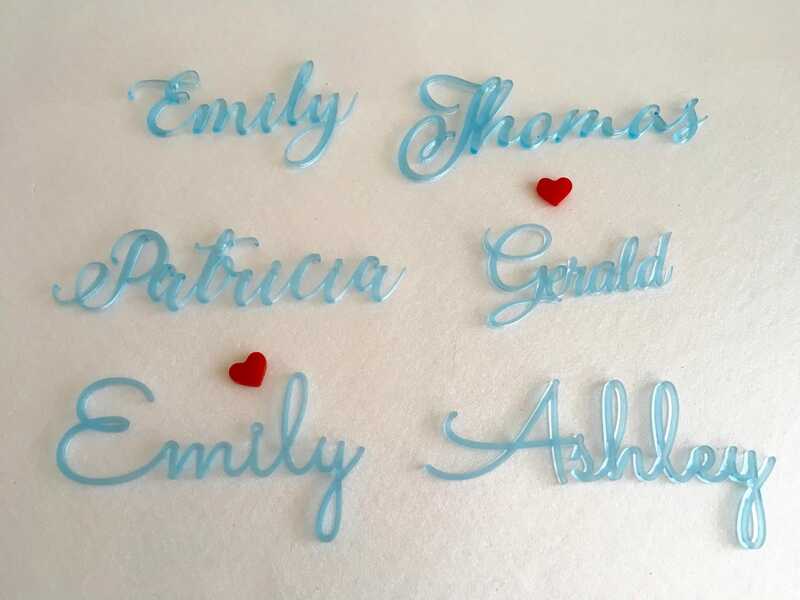 The names would also be a lovely keepsake for your guests to take home to remember the day by. 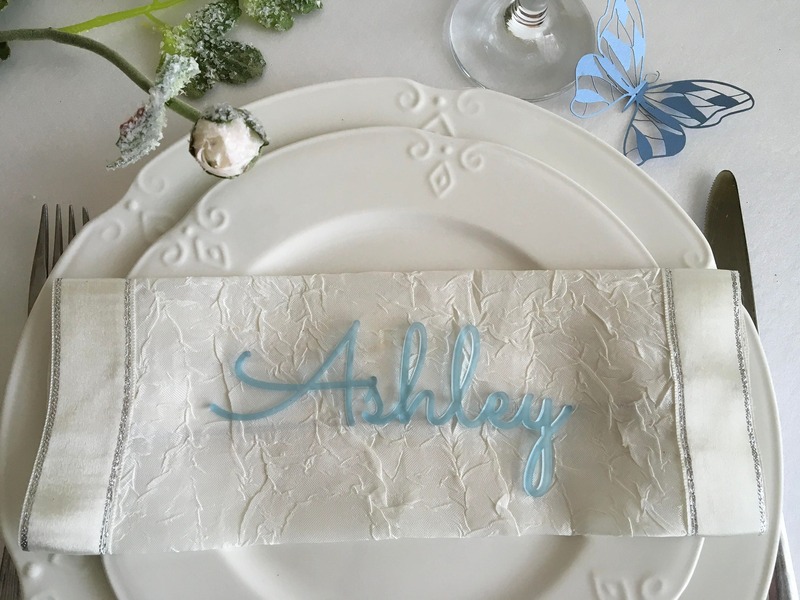 These wedding place card ideas are the perfect finishing touch to your table. 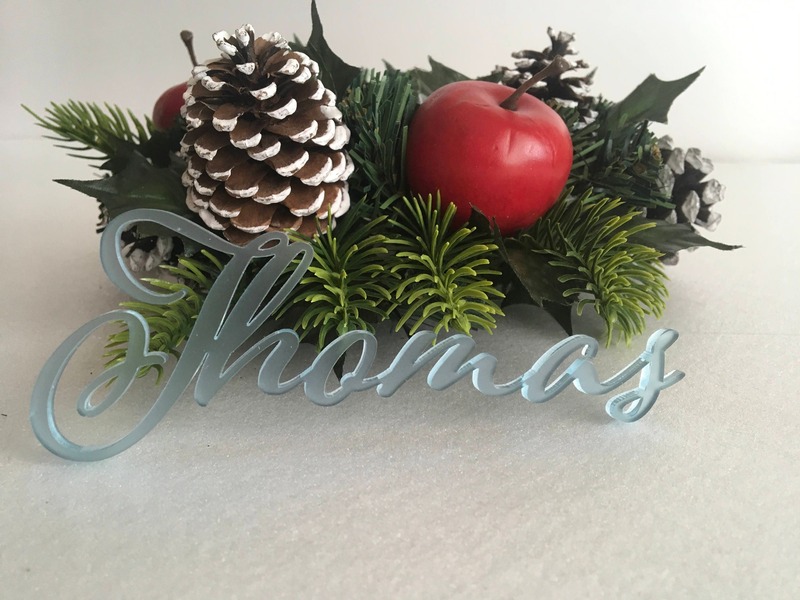 The place names could also be used for a baby shower party, Baby First Christmas, birthday party, Christmas or a dinner party. 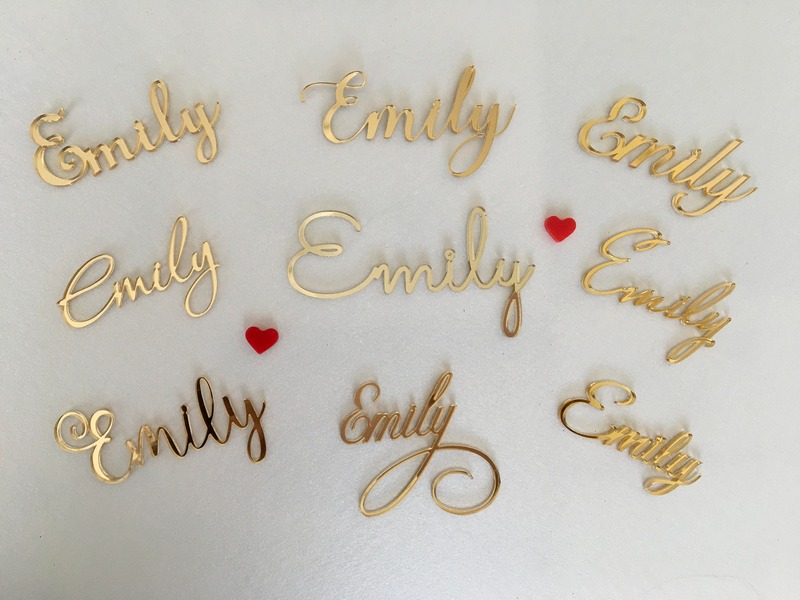 These place cards are laser cut. 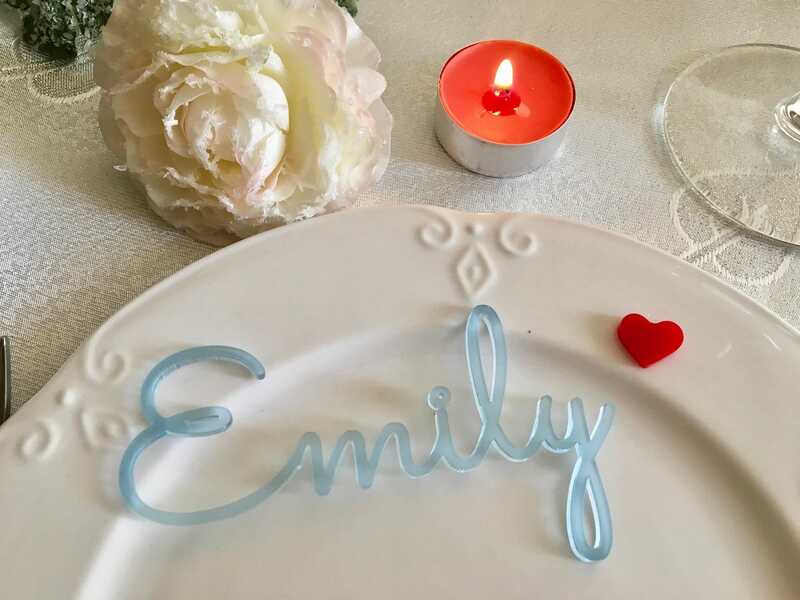 Place it in the plate or dish of the table, or any place you love, it would take the place of a normal place card to show your guest where to sit. After the dinner, the guest could take it home as a gift. It's a wonderful new idea and the price is also affordable. 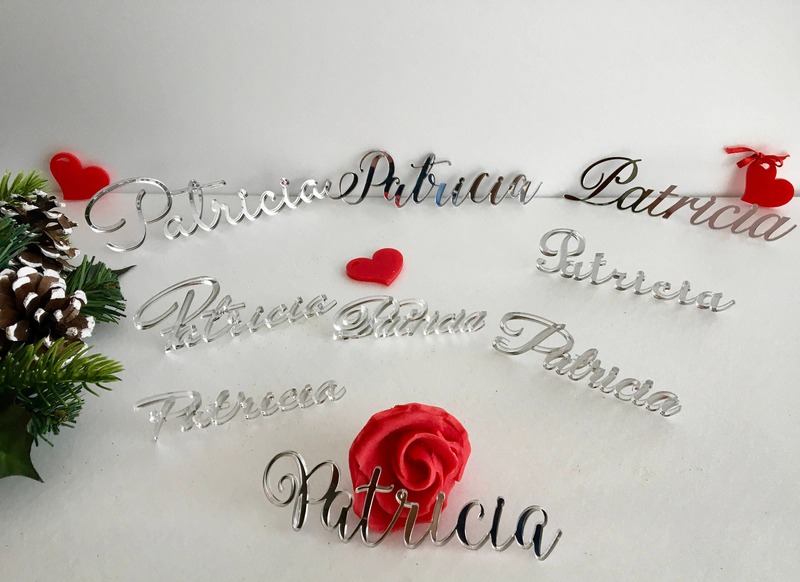 We can produce the names in 1-3 business days after you order. 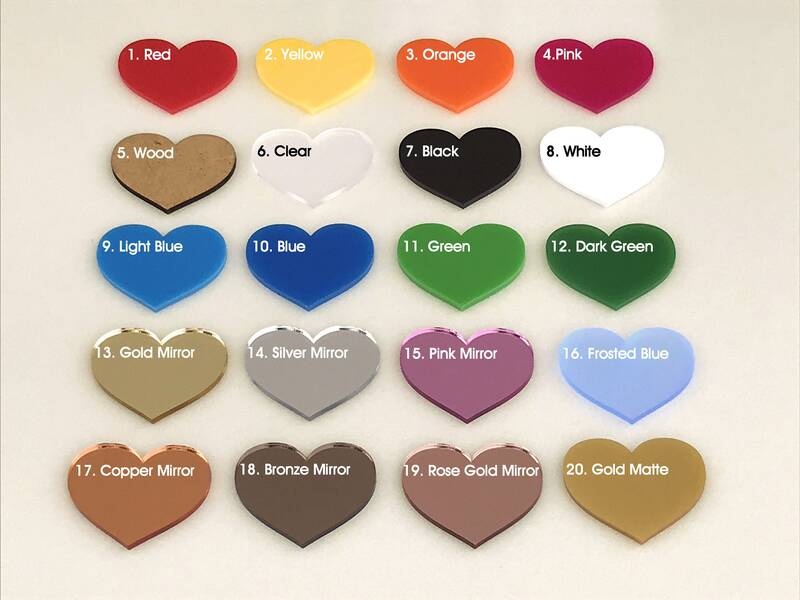 Also I need you to send me the list with the names and what color you have chosen. Click "Checkout" to pay for your order. Thank you Iliana!!! They're perfect! Got these in December 2018; just sent my second order last night and they are already in the mail back to me! Customer service is excellent!!! Can't wait to use them for my wedding next month. I’ve made several purchases from this shop. All pieces are good quality, produced quickly, and arrive safely. I’m a fan and look forward to future orders. You will, too.